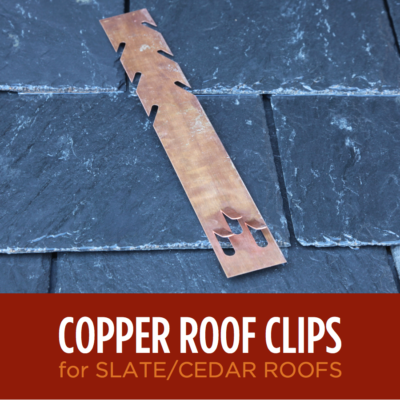 The S-5 Heat Tape Clip is the ultimate solution for the installation of ice dam heat tape on your standing seam roof. 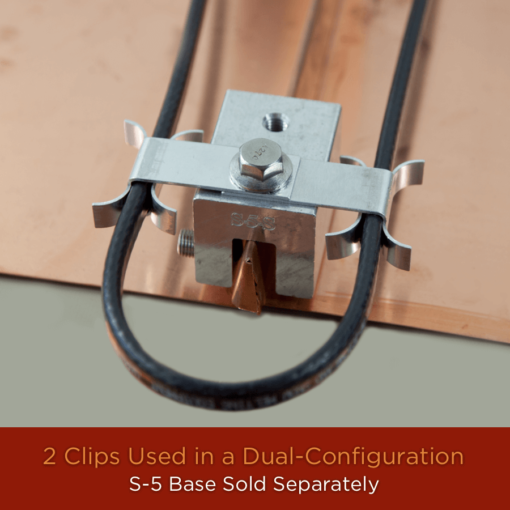 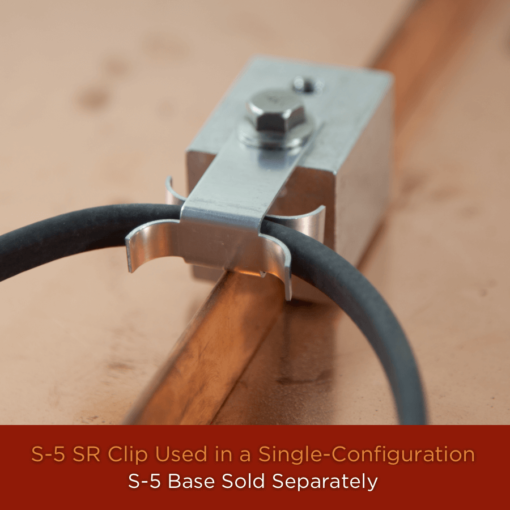 Allowing for easier installation then other standing seam heat tape clips, our S-5 SR clip can be installed 3 times faster because the clips can be installed on your S-5 base without the cable, and then can be easily adjusted without the need to unscrew hardware. 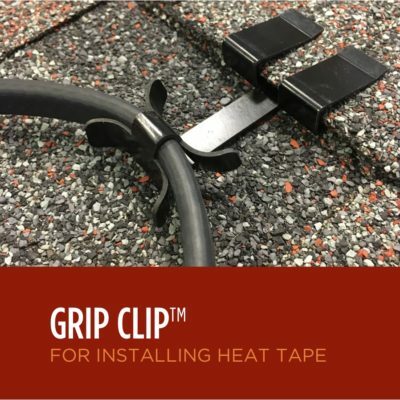 Features a curved cable-grip to prevent sharp metal-edges from cutting into and compromising your heat tape and/or the product warranty. 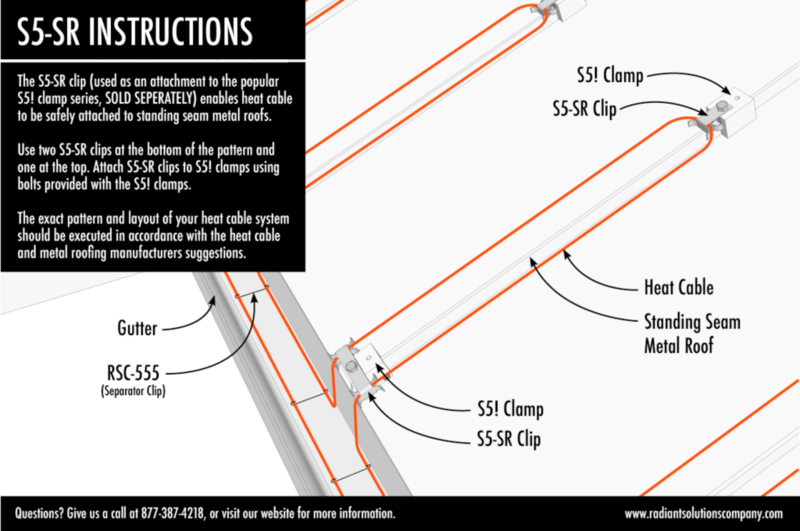 Available in quantities of 10. 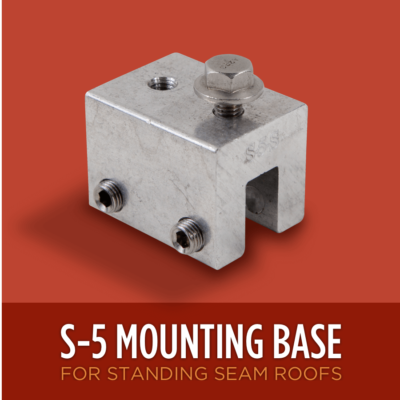 The S-5 Base is required to use this product. 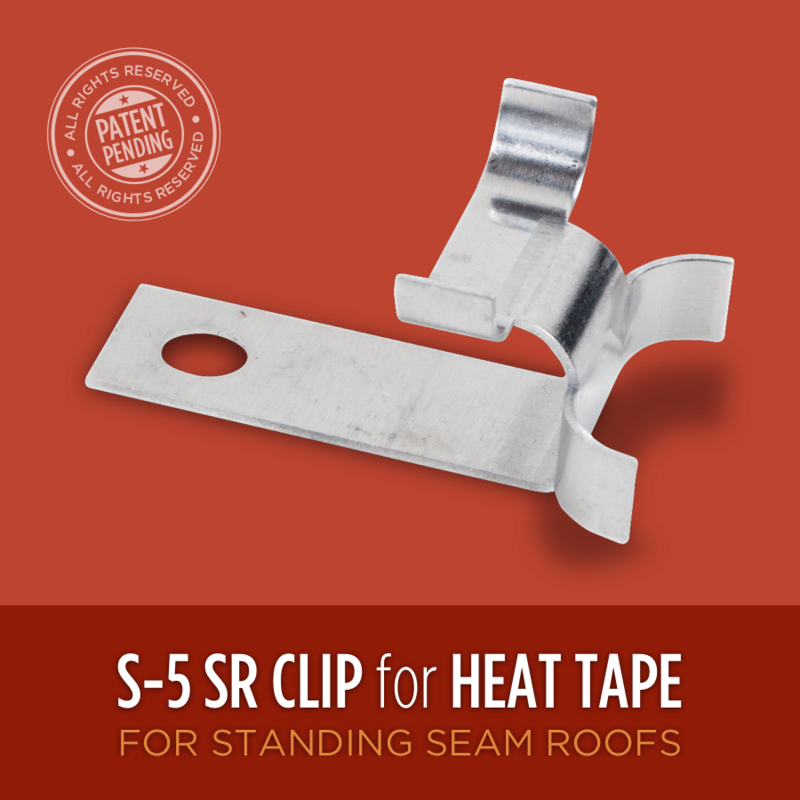 The Radiant Solutions S-5 Heat Tape clips can be installed without the heat tape inside it, making the process much easier to position them and place your heat tape later. 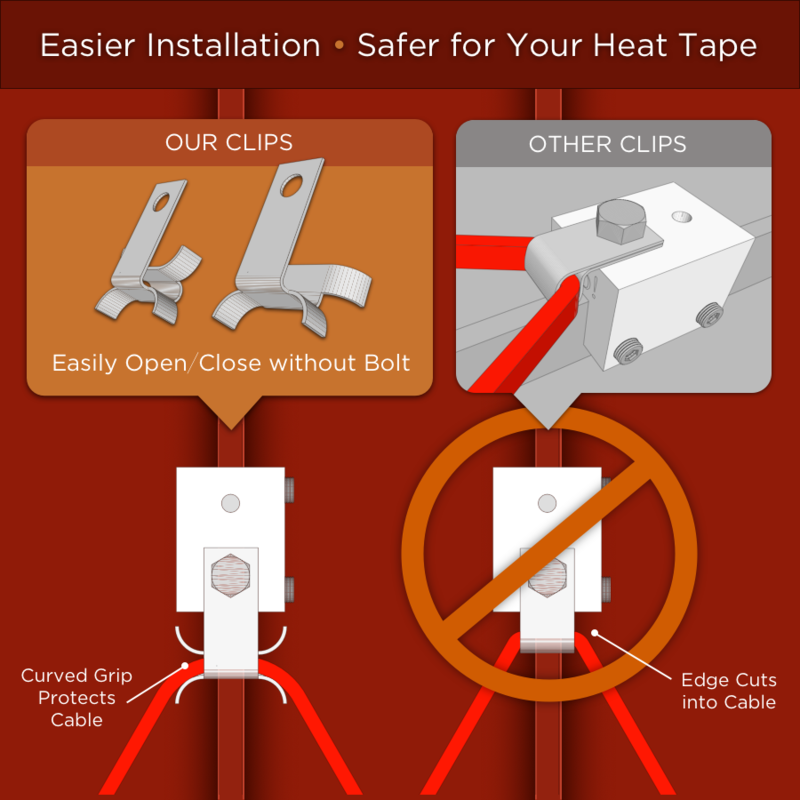 Additionally use a 2-clip configuration on each S-5 clip for some unique and advantageous positioning of your Ice Dam heat tape.